Tropolism: Tropolism Exhibitions: "Imperative Design"
Opening January 26th is "Imperative Design", radical furnishings from seven designers at Barbara Davis Gallery in Houston. 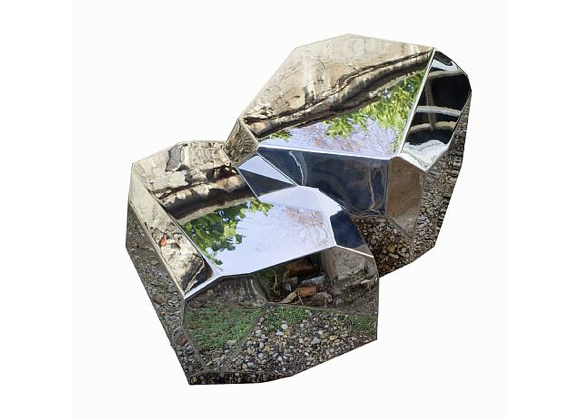 It isn't clear whether the gallery is attempting to outdo Moss or be their retail outlet (some of the pieces are available at Moss; pictured is Arik Levy's Rock Fusion chairbenchtablerock, available for price upon request. While not all of the pieces are new (will Zaha Hadid design another chair, please? ), the work presented is interesting, cutting edge, and takes a bias toward computer-generated objects being created in real space. Oh, and we want a Rock Fusion for our birthday (April 22, we turn 3).